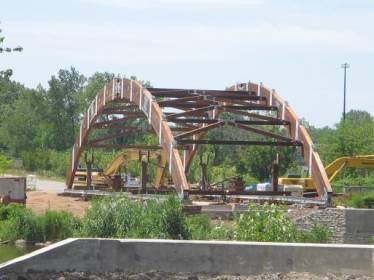 In April of 2012, Portland Bolt was selected to provide bolts for the Overpeck County Park Bridge in New Jersey. This wooden bridge will serve both pedestrians and automobiles. 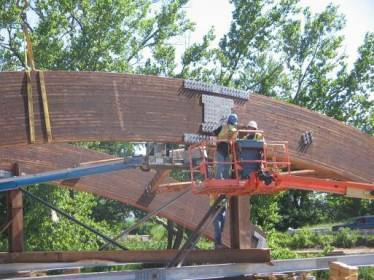 Portland Bolt provided approximately 30,000 lbs of bolts for this project, including timber bolts from 1⁄2” to 11⁄4” diameter, hex bolts, lag bolts up to 1″ diameter, and 2″ diameter drift pins. The majority of the bolts were hot-dip galvanized in our facility, and all of the bolts were required to be 100% domestic with full certification and traceability.